Take Born comfort with you on the job with the Born Amery. 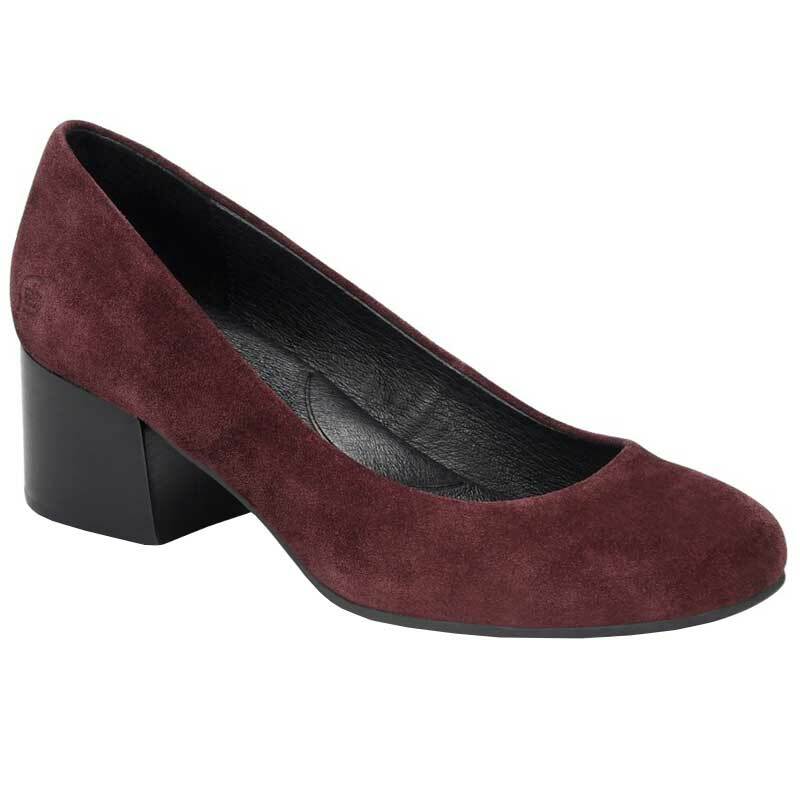 This women’s pump has an upper made of either full grain or suede with a squared toe and a stacked heel to give your work wardrobe a professional touch. Inside, the Amery is lined with super soft leather linings that easy on a bare foot, and the leather covered footbed is generously cushioned. The Amery is crafted from Born’s Opanka construction which is going to make them super lightweight and flexible while still being durable and the textured rubber outsole is going to provide you with traction for a secure step. Elevate your work wear with the Born Amery pumps. A gorgeous shoe that is comfortable all day. Great insole.